This engraved CASHIER Desk Plate is ideal for offices and restaurants, and will immediately let customers know where to pay their bill or tab. Let customers know where to pay their bill with this professional engraved "cashier" desk plate. 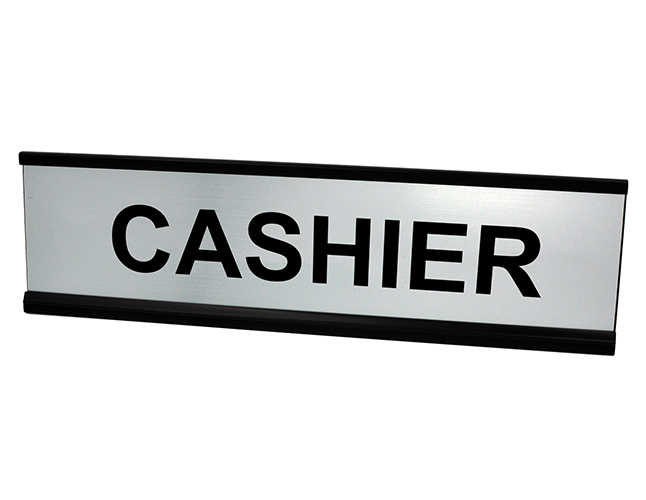 This quality laser engraved cashier sign will keep operations running smoothly at your place of business.